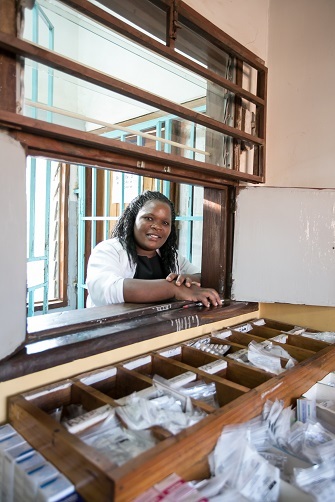 Malawi, like many low- and middle-income countries, has a critical shortage of pharmacy personnel. Government health centers have very limited access to trained pharmacy personnel. This leads to unqualified personnel managing medicines and supply chain and dispensing to patients, which impacts patient care and medicine availability. In 2012, in collaboration with our partners, and with support from the Barr Foundation, USAID | DELIVER PROJECT, and Vitol Foundation, VillageReach launched a two-year Pharmacy Assistant Training Program at the Malawi College of Health Sciences with a strong emphasis on supply chain management and hands-on, experiential learning. The program provides immediate benefit to hospitals and health centers to address these human resource constraints. 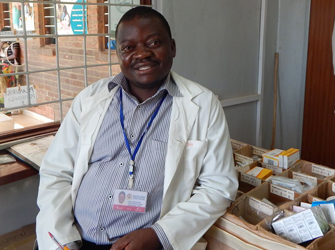 “The Pharmacy Assistant Training Program is a big relief to clinicians working in rural and remote health centers. I hope that this program continues to grow as it is filling a critical need. During this two-year program, students complete two, five-month practicums in between classroom-based learning. 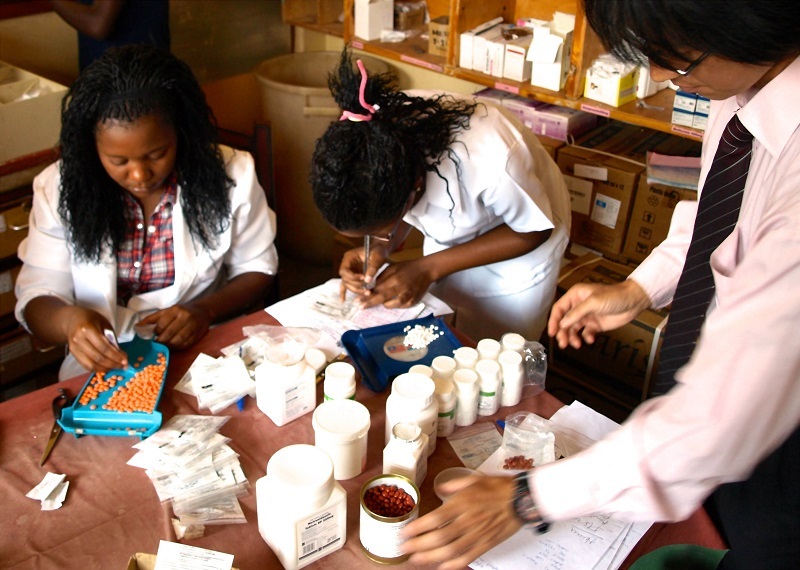 Not only are students trained to dispense life-saving medications and provide patients with essential advice; they also gain the skills to effectively manage inventory to ensure that the medications and supplies their communities need are actually available. PA graduates work in 25+ of Malawi’s 28 districts. Alternating classroom and practicum-based training allows for as many as 100 new students to enroll annually. The following data represents preliminary results based on M & E data collected on a monthly basis. Pharmaceutical Practice: The average score for appropriate dispensing—including giving proper instructions on how to take medication and possible side effects—increased by 19 percentage points (from 41% to 60%). Data Quality: The accuracy of stock on hand and consumption data reported increased by 17 percentage points (from 55% percent report accuracy to 73%). Storeroom Management: The average score for appropriate health center storeroom management – including organizing medicines by “First to Expire, First Out” – increased by 7 percentage points (from 72% to 79%). Time Spent on Logistics: Clinical staff time at health centers spent on logistics tasks decreased by an average of 39 hours per month (from 48 hours to 9). The health center in-charges at practicum sites report substantial improvements in patient flow, decreases in waiting time, and relief from logistics and dispensing duties since the students arrived at their assigned health centers.